PSCtv offers something for everyone. The major networks that carry all the shows you want; specialty channels to appeal to your personal tastes; premium channels with great movies and original programming; Pay-Per-View channels, Video-On-Demand (VOD), 50 digital music stations, High-Definition (HD) and Digital Video Recorder (DVR). So no matter what you are looking for – you will find it on PSCtv. Hospitality Fees may apply in food and beverage establishments for business customers. Contact PSC Customer Service for details. PSCtv service is subject to availability. 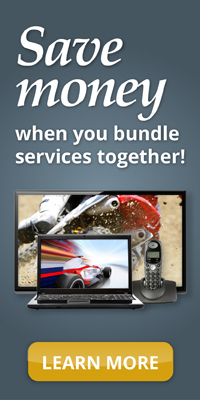 For more information on this service, visit www.watchtveverywhere.com and select PSC as your TV provider. Your account number is needed for registration. Have your latest PSC statement available. Check out the “Learn More” section for more information on this service. Destination America FX Movie Channel Nick Jr.
Contract Term – 18 months from installation date. Contract Termination Fee – Sum of Broadcast Basic plan and $5.95 for each STB over the 1st STB multiplied by the number of months remaining on contract. Individual STB Disconnect Fee – If customer retains service but wishes to disconnect an individual STB, the disconnect fee is $5.95/STB multiplied by the number of months left remaining in the contract. 36 ESPN News 94 Destination America 201 HBO-W 329 MC1 - Kidz Only! HD channels are subject to availability. See below to view the available videos on demand, or click here to see the listings in a new window. PSC Pay-Per-View is a selection of top movies, major sports and music events. Some of the biggest events on television are included like WWE, championship boxing, Ultimate Fighting Championship, concert events and much more.